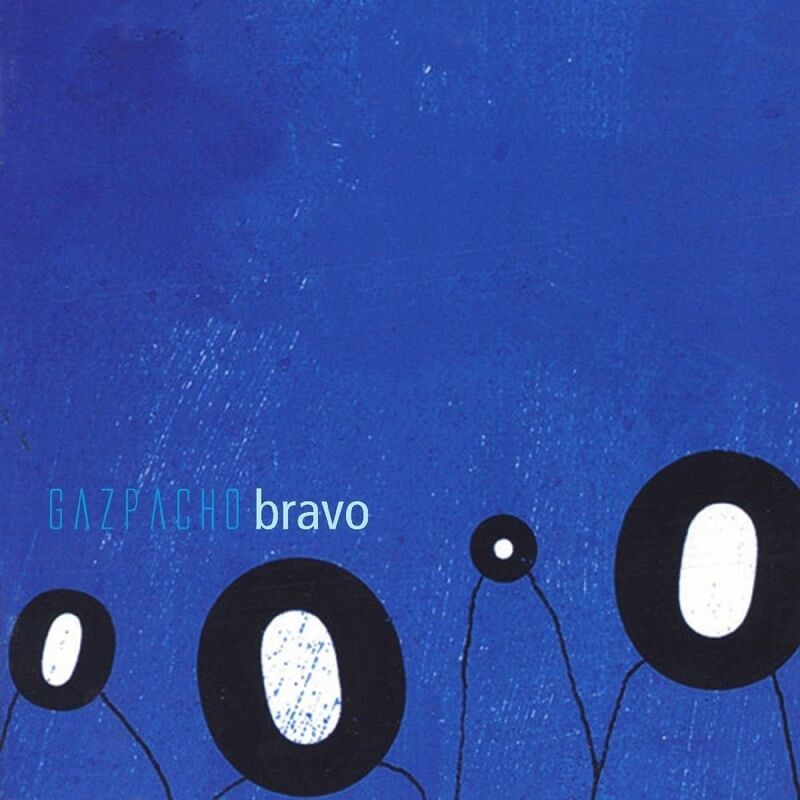 Gazpacho did absolutely everything themselves on Bravo: from writing, recording, production, mixing, manufacturing, mastering and graphic design. Everything was carfully planned and worked on to the nearest detail. Nonetheless, there are over 17 people contributing to the making of this album, all being within the circle of friends and having the belief in what gazpacho do (and asking them politely for a favour..). No session players, no rented extra’s, no agencies. They share one common thing: they love music. Some of the more unique stories in the making of Bravo would be gazpacho’s collaboration with Esther Valentine (California: worked with amongst others, David Kershenbaum (prod., Tracy Chapman), Paul Buckmaster (arr., Elton John), and Richard Burgess (keyboard prog., Kate Bush), and has numerous CD (platinum), film and television credits.) and Peter Kearns (New Zealand: Since the eighties he has written and recorded with various Australasian acts and for a year or two collaborated with legendary American record producer Kim Fowley. He has also worked as keyboard sideman to such New Zealand acts as Shona Laing (ex Manfred Mann’s Earthband) and Dave Dobbyn). These friends from 3 seperate continents have never met face to face.